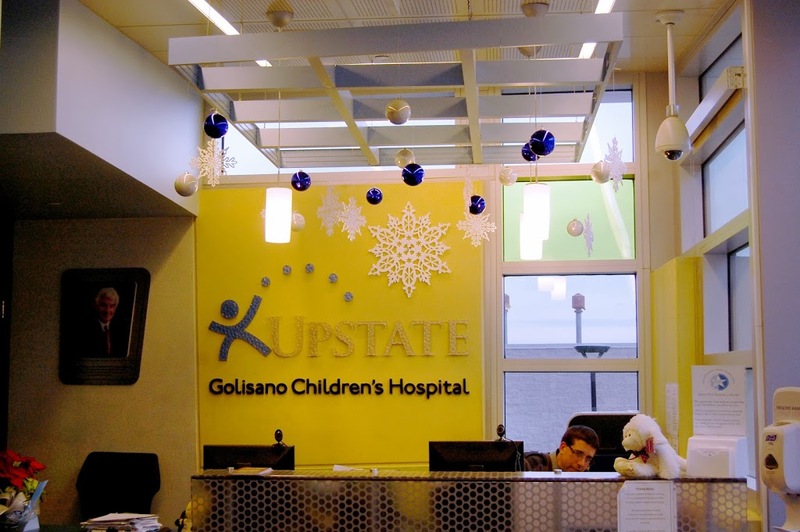 Recently, we began producing a holiday décor program for the Upstate Golisano Children’s Hospital in Syracuse, New York. 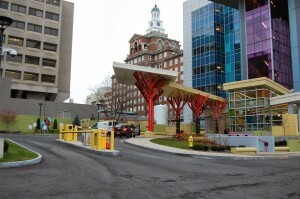 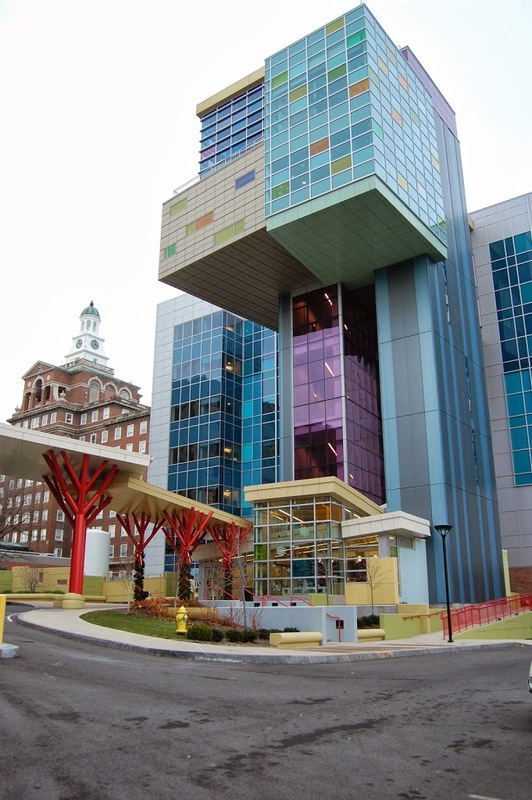 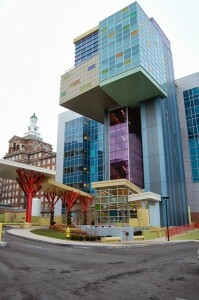 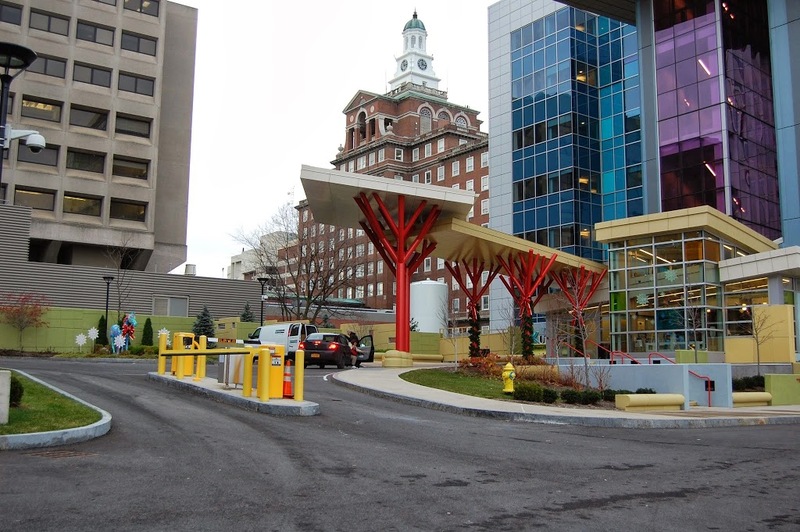 The newly built hospital is named after billionaire businessman Tom Golisano, founder of the second-largest payroll processing company in the United States, Paychex. 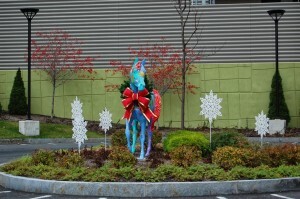 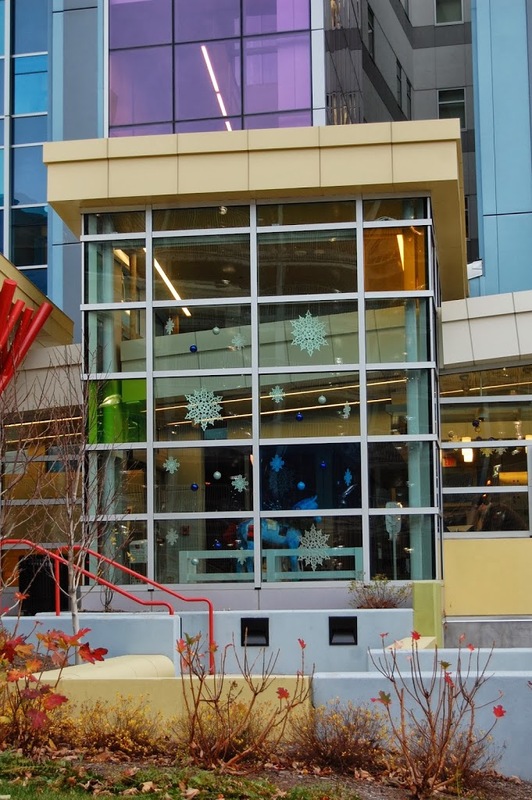 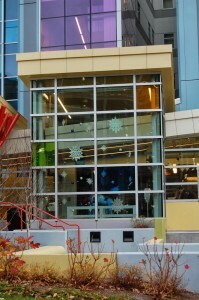 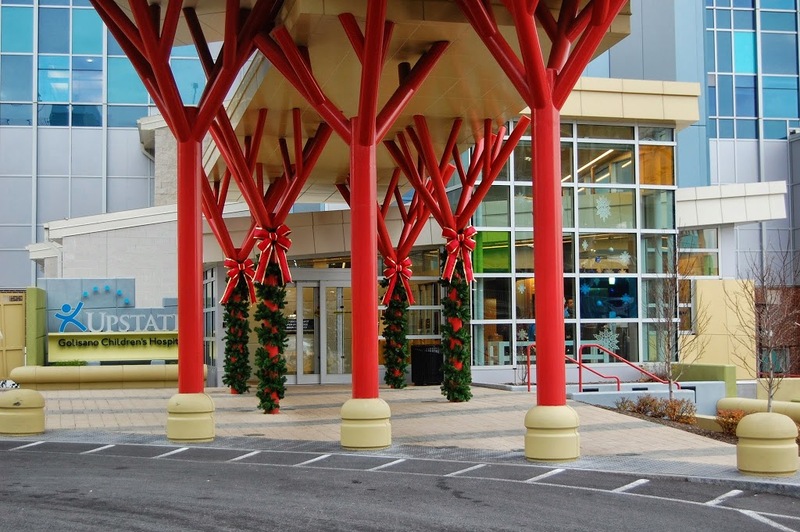 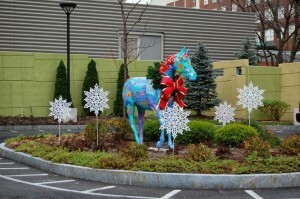 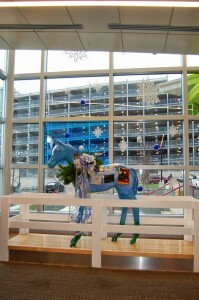 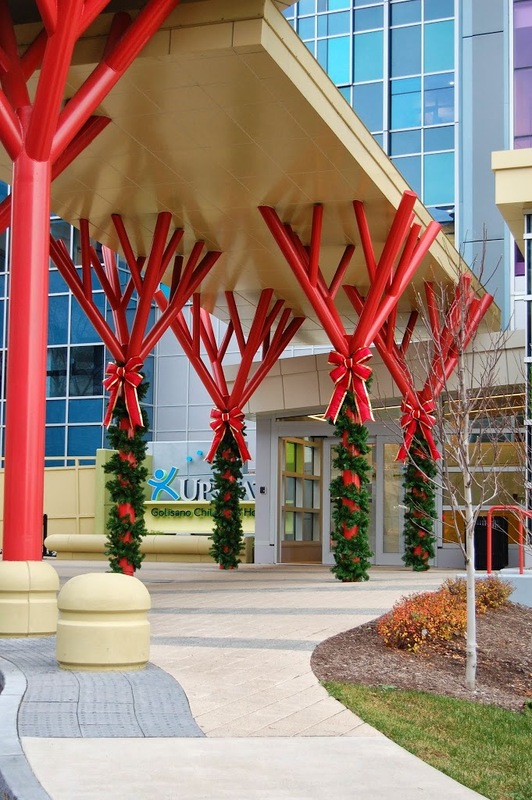 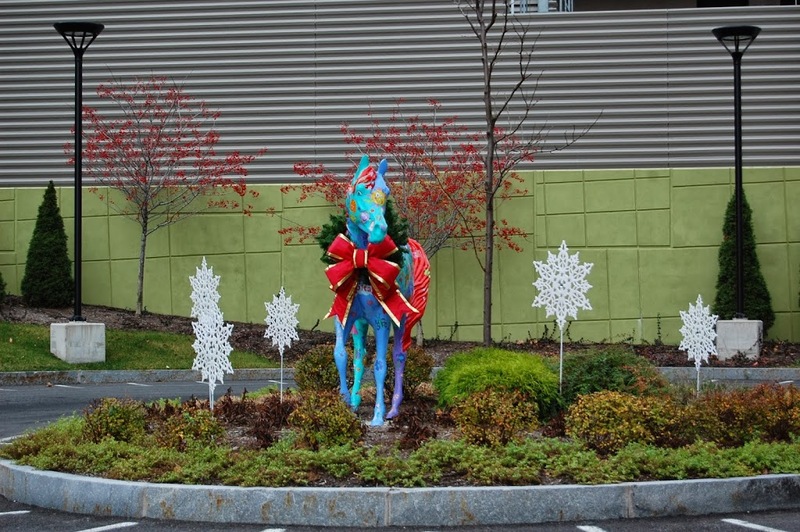 In 2010, we provided holiday décor for the inside of the building. 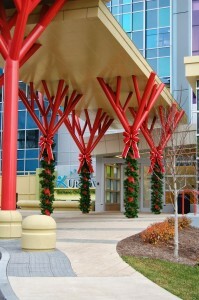 In 2011, we started decorating both the interior and exterior of the building. 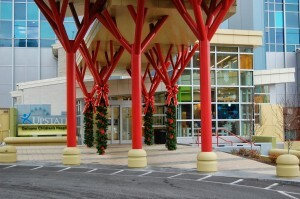 The inside features some of our large wreaths and a giant tree. 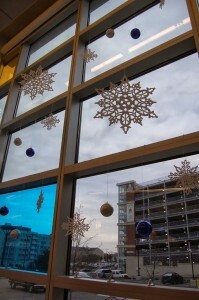 Our ornaments and snowflakes can also be spotted hanging in the front windows of the building. 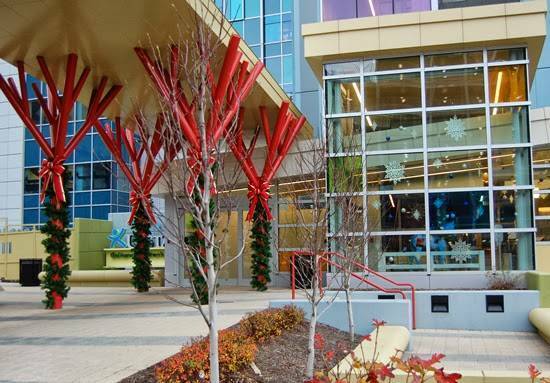 On the outside, we enhance the main “tree house” entrance of the building by adding our garland to the walkway pillars, making them look even more like real trees. 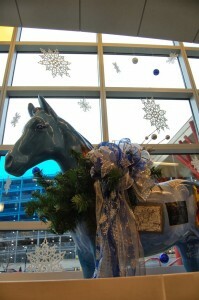 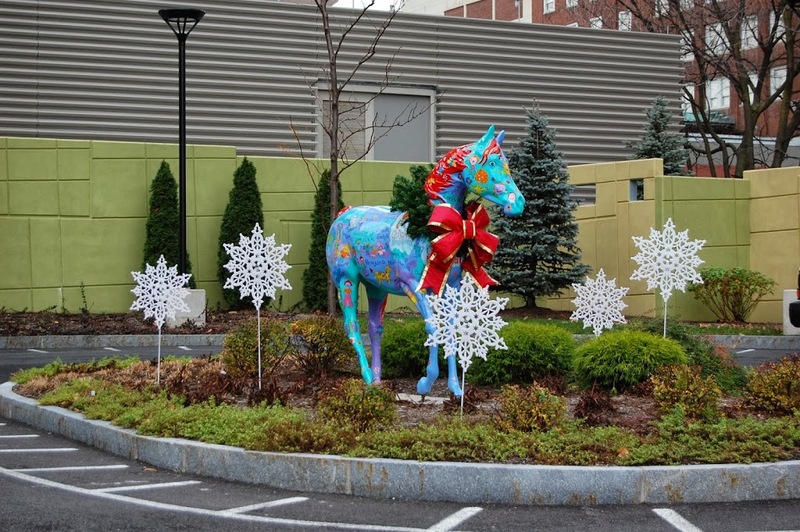 Another unique concept we came up with was decorating the outside and inside horse statues with bows and custom garland collars. 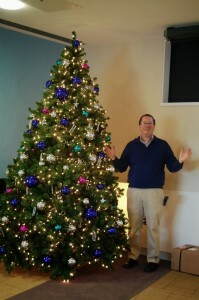 To see more pictures, click the read more button.